After graduating from college, Jennifer isn't sure what she wants to do with her life. She is drawn to the Appalachian Trail, a 2175-mile footpath that stretches from Georgia to Maine. Though her friends and family think she's crazy, she sets out alone to hike the trail, hoping it will give her time to think about what she wants to do next. The next four months are the most physically and emotionally challenging of her life. She quickly discovers that thru-hiking is harder than she had imagined: coping with blisters and aching shoulders from the 30-pound pack she carries; sleeping on the hard wooden floors of trail shelters; hiking through endless torrents of rain and even a blizzard. With every step she takes, Jennifer transitions from an over-confident college graduate to a student of the trail, braving situations she never imagined before her thru-hike. The trail is full of unexpected kindness, generosity, and humor. And when tragedy strikes, she learns that she can depend on other people to help her in times of need. Jennifer Pharr Davis grew up in the North Carolina Mountains, where she developed a love for hiking at a young age. At age twenty-one, Jennifer hiked the entire Appalachian Trail as a solo female and fell in love with long-distance backpacking.Since then, Jennifer has hiked more than 11,000 miles on six different continents, with North American hikes including the Pacific Crest Trail, Vermont's Long Trail, and the Colorado Trail, and completed three thru-hikes on the Appalachian Trail. She has hiked and traveled on six continents; some of the highlights include Mount Kilimanjaro, the Inca Trail to Machu Picchu, and the 600-mile Bibbulmun Track in Australia.In the summer of 2011, Jennifer topped her own 2008 Women's Endurance Record for the fastest thru-hike on the Appalachian Trail, making her the overall record holder for both women and men. Jennifer is the first woman to hold the overall title.Jennifer hiked from Katahdin, Maine to Springer Mountain, Georgia. Her goal was to hike the entire 2,180-mile faster than the current overall speed record of 47 days, 13 hours and 31 minutes, which she did in 46 days.To break the record, Jennifer hiked an average of 47 miles a day, camping along the trail. She had trail support from legendary ultra-runner and former AT and Pacific Crest Trail speed record holder David Horton, as well as veteran AT expert Warren Doyle and Davis' husband, Brew Davis. 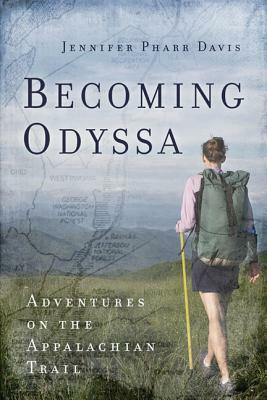 Her hiking and backpacking accomplishments, as well as her influence as an outdoor role model, are remarkable and momentous.Jennifer is a 2012 National Geographic Top Adventurer of the Year nominee for her record-breaking thru-hike, has been on CNN, The Early Show, NPR numerous times, and was featured in Fitness Magazine and Shape magazine, among others. Jennifer has also written for Trail Runner magazine, Away.com, is a frequent contributor to Blue Ridge Outdoors Magazine, and has written three guidebooks. Jennifer lives in Asheville, North Carolina, with her husband, and is the owner and founder of Blue Ridge Hiking Co.